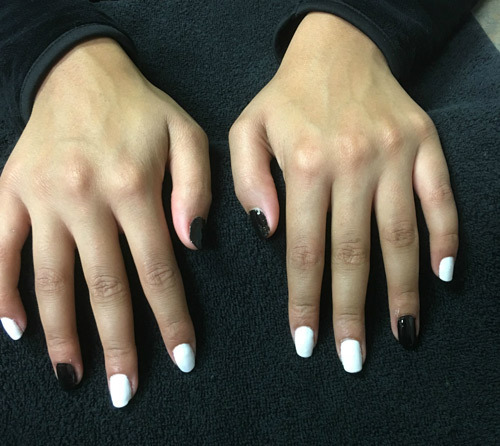 Today’s TuesTorial comes from Hope H., Cosmetology student at La’ James International College in East Moline! Step 1: Apply 2 coats of Polish to your nails & allow time to dry. Some should be white & some should be black. Just have fun… this is your design! 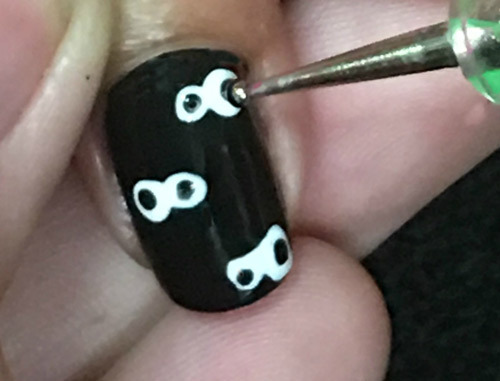 Step 2: Use a large dotting tool and white polish to create “eyes”. Once dry, use a smaller dotting tool & black polish to create the pupils. 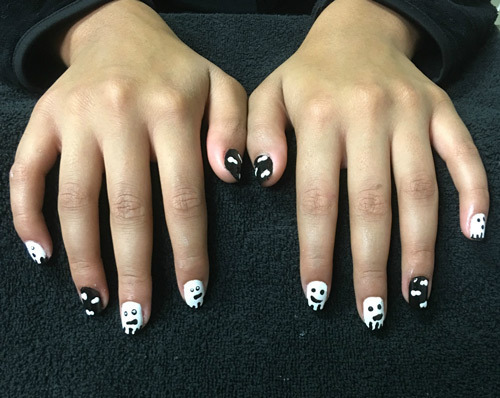 Step 3: Use a large dotting tool & black polish to create the “eyes” & “ghostly effect”. Once dry, use a smaller dotting tool and white polish to create pupils. 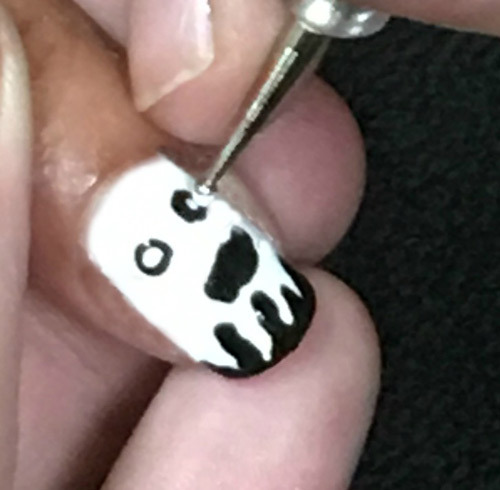 Step 4: Apply a clear top coat and admire your spooky design! Thank you Hope for sharing this great tips & for participating in today’s #LjicTuesTorial!